The Rebel Sweetheart. 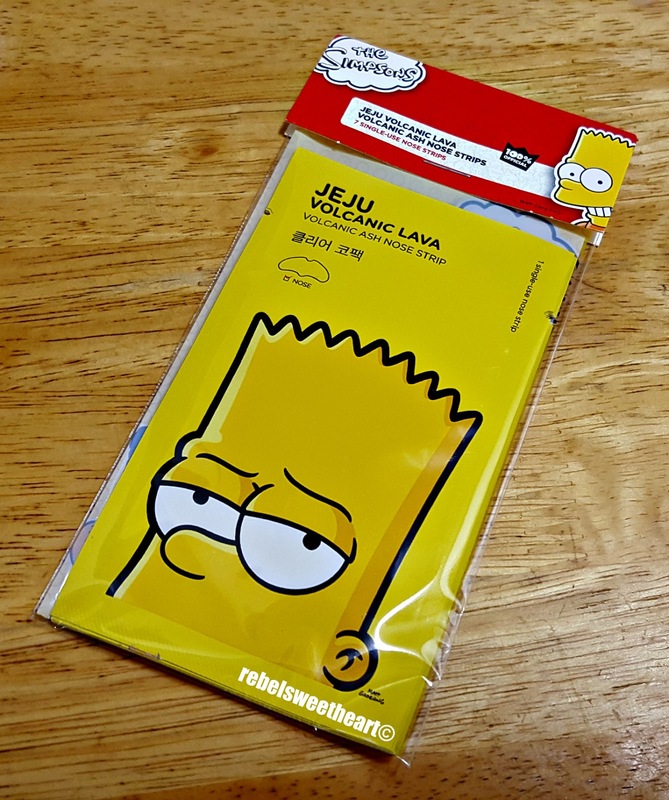 : Spotlight | The Face Shop x The Simpsons Jeju Volcanic Lava Volcanic Ash Nose Strip. 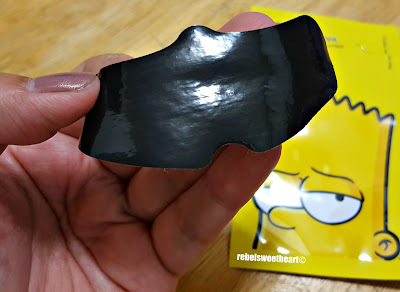 Spotlight | The Face Shop x The Simpsons Jeju Volcanic Lava Volcanic Ash Nose Strip. 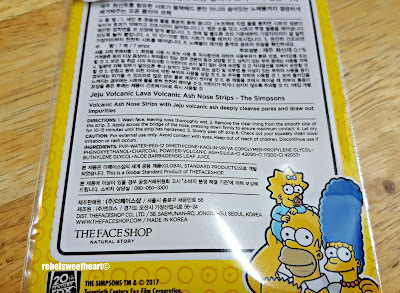 Last month, The Face Shop launched their collaboration collection with The Simpsons, which I featured in this blog post. The collection features summer skin essentials such as sunscreens and tanning oils, and body care products such as shaving creams and deodorants. 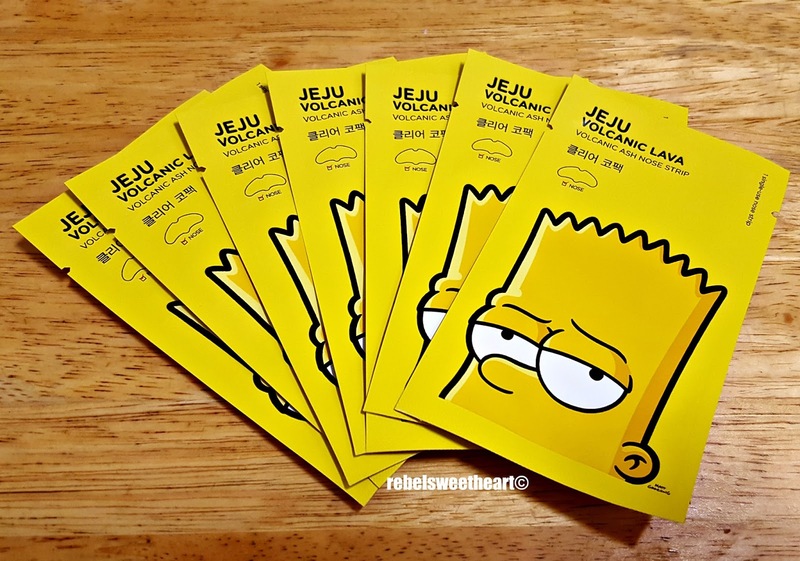 The collaboration collection also includes sheet masks and nose strips, which I have tried while I was in Seoul. 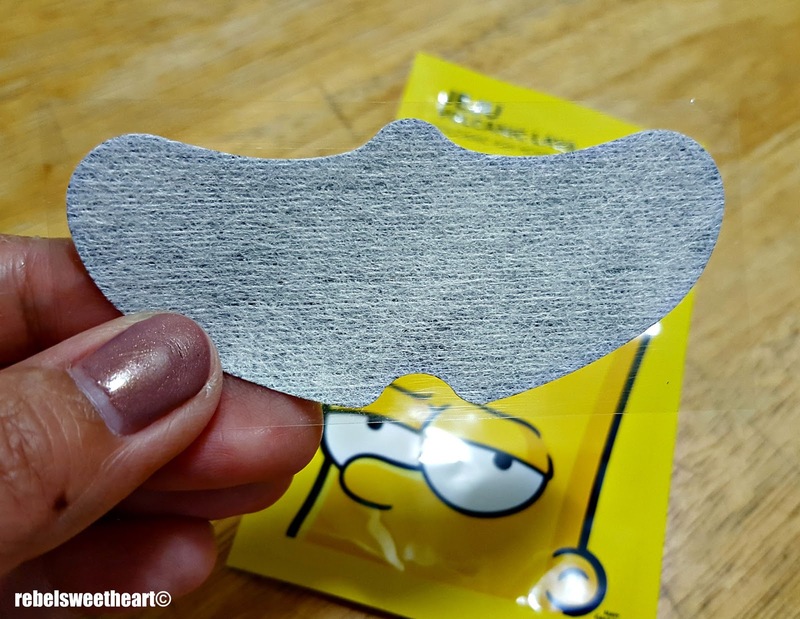 I loved the nose strips so much that I bought a few hoarded several packs, enough to last me until my next trip to Korea! Haha! 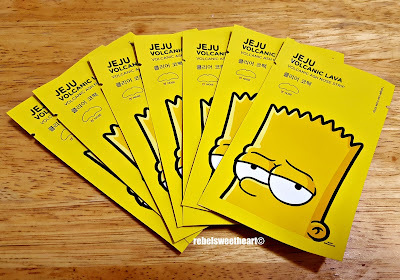 The nose strips, which sell for 3000 won (around Php 130 or $3), come in a plastic pack which bears Bart's face and the official logo of The Simpsons. Each pack contains seven individual packets, also designed with Bart's face. You'll find the product description, usage directions, and list of ingredients on the back of the plastic pack and the individual packets. All these are written in both English and Hangul. 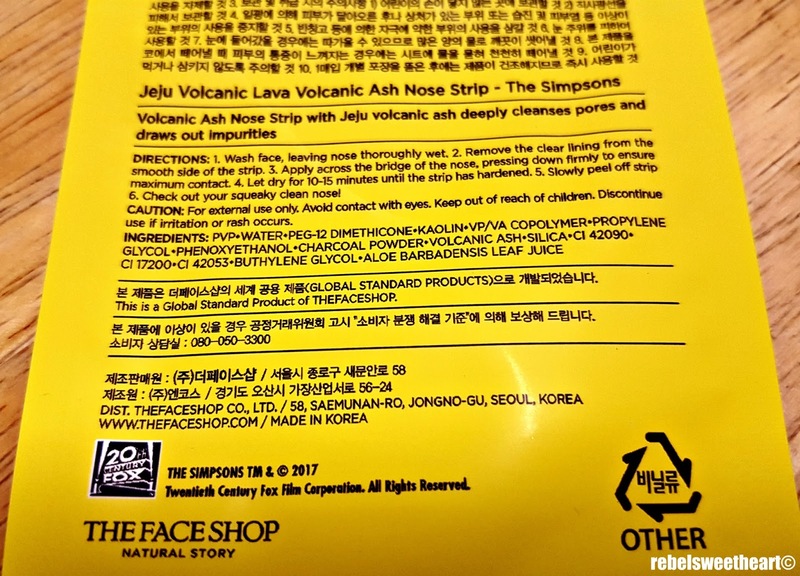 Made with volcanic ash, charcoal powder, and aloe leaf juice, the Face Shop Jeju Volcanic Lava Ash Nose Strip deeply cleanses pores and draws out impurities without stripping the moisture off your skin. The strip is pasted on a transparent plastic sheet. You can easily lift off the strip from the plastic sheet; no need to worry about the edges crumpling or sticking together during the process. To use, wash your face thoroughly then leave the area around your nose completely wet. Remove the strip from the plastic sheet; then apply it across the bridge of your nose, pressing down firmly to ensure maximum contact. The black side of the strip should be the one sticking on your skin. Stick the black side to your skin. Personally, I like how this strip sticks nicely and covers the entire nose area. 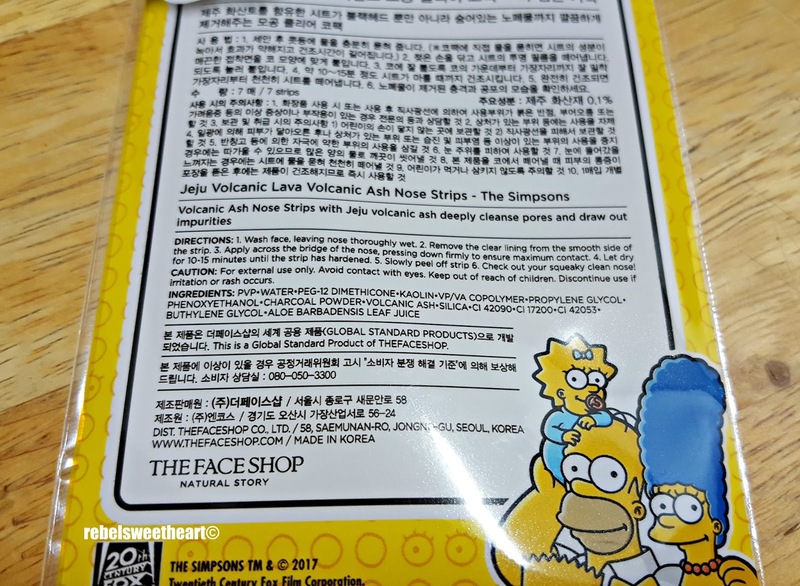 It has no weird chemical scent and does not feel itchy on the skin, unlike some of the local nose strip brands that I have tried. 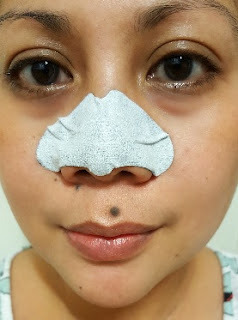 This nose strip dries out quickly, too. Removing it is quite easy and pretty painless - all it took for me was one quick pull. oh these are so cool, I like putting bentonite clay on my face to help with blackheads so great. these are awesome options. I love this! 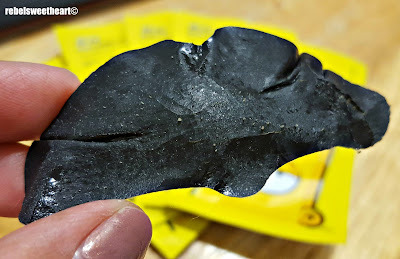 I love trying out nose strips as I commute often and the dirt definitely piles up. I'm glad to know that this works well. You can really see the whiteheads! This is a really cool strip. I would love something that could remove the impurities and yet not affect the moisture in my skin. This sounds awesome. And, hey, it's the Simpsons! 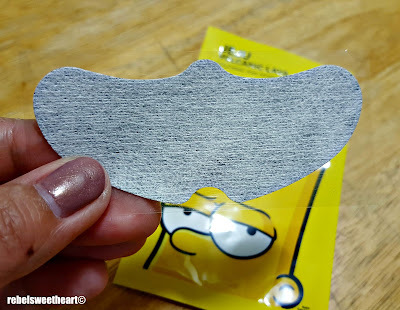 I love nose strips! This one is sooo cute! 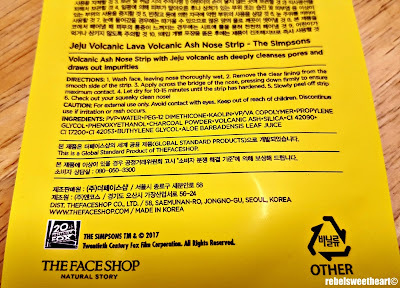 I should check it on "THe Face shop" next time I visit the mall!